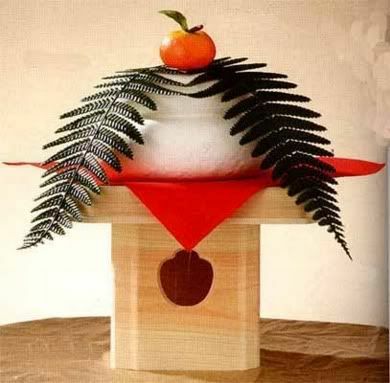 Mochi is usually made by machine now, but I had the honor of attending a real mochi pounding back in intermediate school with my ex-boyfriend. That experience has stuck in my mind ever since. Here is a video of a traditional mochi pounding. You can see in the middle of the video that someone has to flip the mochi around in between hammer whacks. It takes great timing and occasional people get their fingers squished. It’s almost 3 am now and I really have to get to bed. My kiddies actually made it to midnight so hopefully I get to sleep in tomorrow. HAPPY NEW YEAR!!!!! !